Spring has just begun and legend rapper Slick Rick and singer Will.I.am has partnered up to releases a new collection of sunglasses. 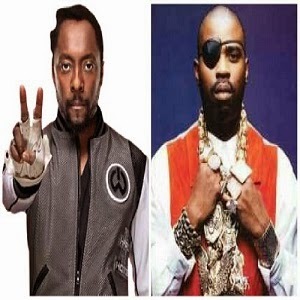 According to AllHipHop, Will and Slick Rick have teamed up with ill.i Optics' to create limited edition, unisex sunglasses for Spring/Summer 2015. The latest edition of eyewear which was designed in Los Angeles and handmade in Italy will be available in three variations. Slick Rick said music and fashion have always been his true passion. “Music and fashion have always been parallel, and both are my true passions,” Slick Rick said to AllHipHop. ill.i x Slick Rick represents our vision for the next level of fresh, fly and classic eyewear,” he added. The Spring/Summer ill.i Optics' 2015 were released on March 20th. For the capsule style the price will run at $340.